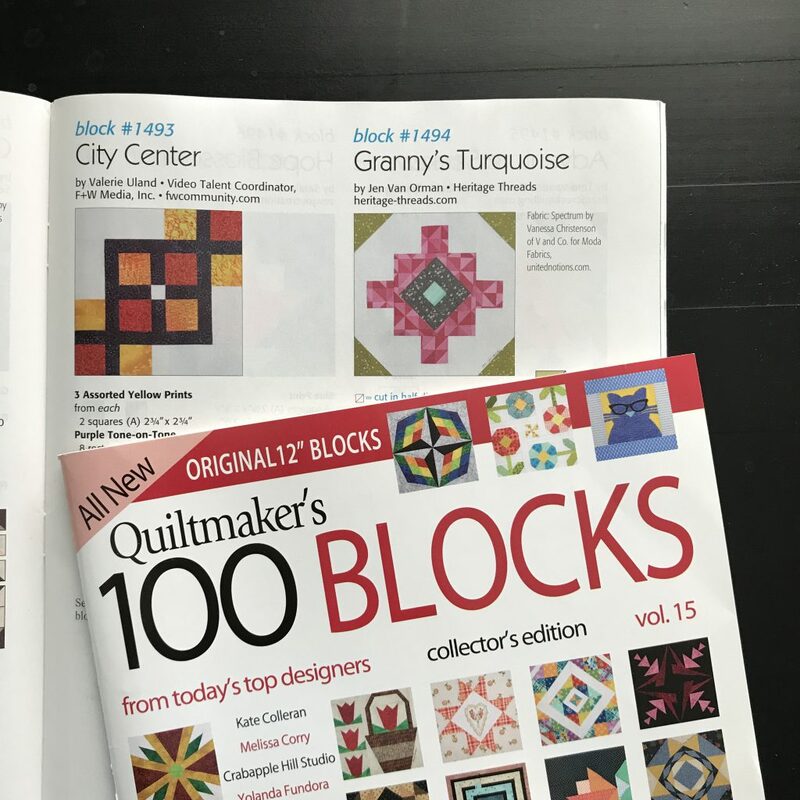 Back in November I got a bee in my bonnet to try to design and submit a quilt block to Quiltmaker’s 100 Blocks magazine. 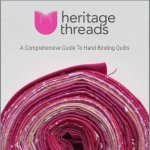 For those of you who are unfamiliar with this publication, they put out several magazines, but this particular one goes out twice a year and contains 100 unique 12-1/2″ blocks! 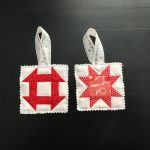 There are applique, foundation paper piecing, as well as traditional piecing. It’s such a fun magazine that I’ve loved for quite some time. As I was looking for inspiration, I saw this image and immediately the wheels started turning. 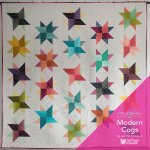 I love hearing how quilt patterns develop from inspiration to final quilt, so I thought I’d share a bit of my process here. I got out my graph paper and started drawing and trying to figure out how in the world to make this image into a quilt block. It took a lot of math and a lot of trial and error, but I eventually came up with this. I used some leftover V & Co. 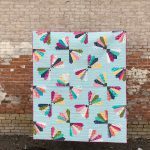 Spectrum from my Dresden Butterflies quilt and I could not love it more if I tried. 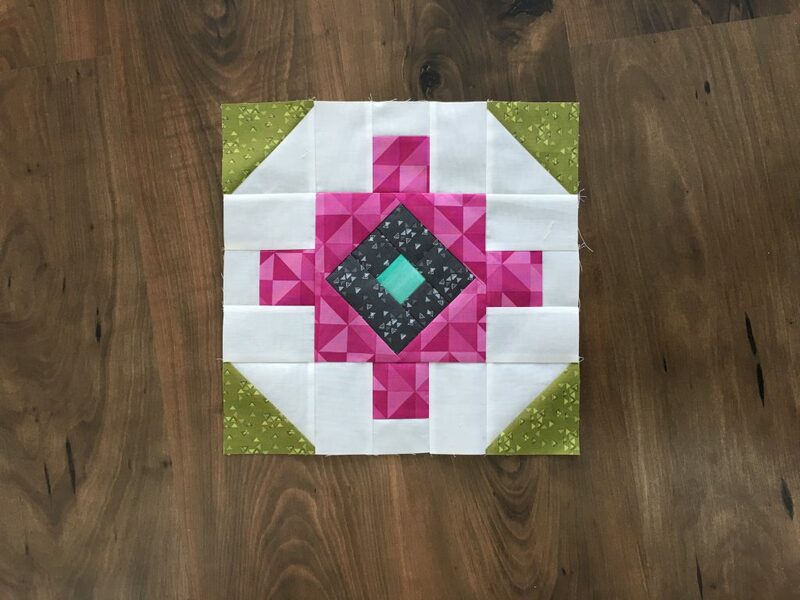 The geometric magenta adds so much interest! Vanessa is a fabric genius, I tell you. I sent this physical block into the magazine and waited and waited and waited. Just when I had given up and assumed it wasn’t chosen, I heard back that it had been chosen! I am in the process of cutting out an entire quilt and that thrills me. 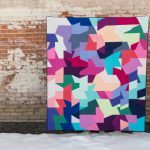 I can’t wait to see this pattern on repeat through an entire quilt. 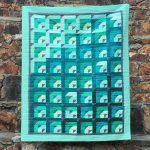 I named the block Granny’s Turquoise because it reminded me of a brooch and I loved it.